There are currently an estimated 132,800 dentists in the United States. The dentist job market is expected to grow by 19.4% between 2016 and 2026. CareerExplorer rates dentists with a B employability rating, meaning this career should provide good employment opportunities for the foreseeable future. Over the next 10 years, it is expected the US will need 26,400 dentists. That number is based on 25,700 additional dentists, and the retirement of 700 existing dentists. The number of both dental school applicants and graduates has increased in recent years. Typically, the demand for dentists follows the overall business cycle, since dental services are often paid for by either the patient or by private insurance companies. 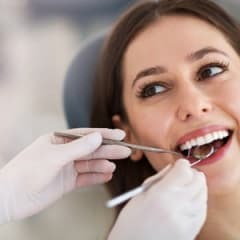 It is predicted that the demand for dental services will increase as the population ages, cosmetic dental services become increasingly popular, and access to health insurance continues to grow. Employment prospects will be especially good for dentists who are willing to work in areas where patients need dental care but have little access to it. What’s the supply of dentists?